The "Imagineers" (aka designers) behind Disney Wonder's innovative spaces tell the Disney story with everything they do, paying attention to even the tiniest details. On Wonder, that means that in the Oceaneer Club kids 12 and younger enter a Marvel universe to fight bad guys and learn about their inner strength. In Tiana's Place, an electric dining experience pulled straight out of Disney's "The Princess and the Frog," diners are treated to a setting that beautifully blends fairytale with New Orleans' French Quarter. 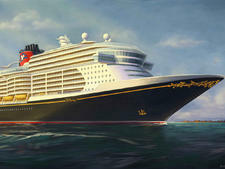 The Disney story continues even in the announcement chime and (to our surprise) the ship's horn, which both play the first seven notes of "When You Wish Upon a Star." 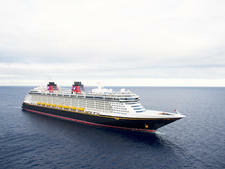 Of course, you'll find the Disney story in the entertainment onboard as well. "Frozen, a Musical Spectacular" makes an impression in the theater and kids love all the appearances by the princesses. All of the shows onboard, as well as the activities in the kid and teen clubs, are free, and some of the best at sea. But a cruise on Disney Wonder is not just about the physical details or entertainment you'll find onboard; it's also about making your cruise experience seamless. From providing bug repellant and sunscreen in ports of call with Zika warnings to in-cabin curtains that create a two-room feeling for families or groups sharing a room, Disney worries about the details so you don't have to. One area where Disney's attention to detail is lacking, in our opinion, is in the onboard dining. Meals in the main dining restaurants are more about the performance than what's on the plate. But while some dishes could use more thought, kids probably won't mind the food and it's all too easy to be dazzled during dinner by an animation show or pirate parade than lament about a forgettable pork chop. All of restaurants, shows and activities onboard -- however magical -- wouldn't be the same without the service, which displays a heightened sensitivity to the needs of families, small children and special requests of all shapes and sizes. From room attendants (called hosts or hostesses onboard) to the servers that follow you from dining room to dining room all cruise long, there's a level of personalization that makes kids feel special and puts adults at ease. The result does feel like you've been transported away from reality, whether it's to New Orleans, Arendelle or simply an oasis where the entire family has something to make them smile. 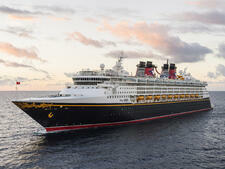 Expect a solid one-third of the ship's passengers to be children, so about 900 to 1,000 kids. 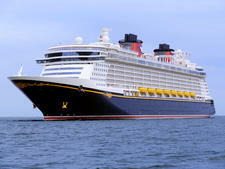 That means there are plenty of family groups onboard -- from single families and grandparents with grandchildren to multigenerational groups and family reunions. Embarkation ports like Galveston attract a big drive-to market, so you'll find lots of people from the Midwest and Southern United States. Alaska cruises attract a tad older demographic, including couples traveling without children, but they're still heavy on the multi-gen groups. Gratuities -- given to the waiters, assistant waiters, head waiters and stateroom attendants -- are $12 per person, per day. Even if you prepay gratuities or add tips to your onboard bill, envelopes are distributed on the final evening so you can personally thank your room steward and wait staff. Cards denoting the prepaid amount can be put inside the envelopes, or you can give cash, if you prefer. An automatic 15-percent service charge is added to drink orders at any bar or lounge; an 18-percent auto-gratuity is added to all spa treatments.